1) Be curious. 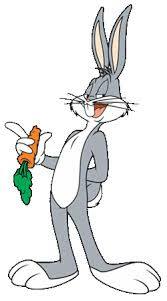 His “What’s Up Doc” catchphrase teaches us to be inquisitive of others. 2) Be fearless. Bugs was brave, he was never shy, and he was quick to match wits with anyone giving him a hard time. 3) Be a creative problem solver. There was never a pickle Bugs couldn’t find his way out of. 4) Be prepared. Bugs always knew what his pursuer (usually Elmer) was plotting and planned and prepared to remain two steps ahead of him. Feeling nostalgic for Bugs and his buddies (Elmer, Sylvester, Yosemite Sam, Foghorn Leghorn, Daffy…)? There is no better rabbit hole on YouTube to fall into than Bugs’. This entry was posted in Community, Humor, News, Uncategorized on July 27, 2018 by aps.